Tate Liverpool has once again brought an artist to town which some people will roll their eyes at. At least, that’s what I witnessed during my visit to this room – many other visitors only stayed around for a minute or two. 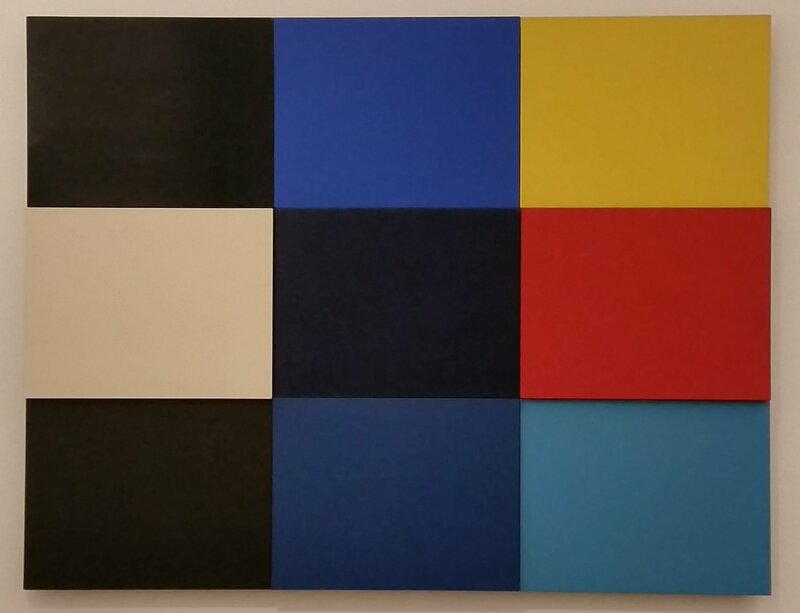 I understand how it would be easy to make snap judgements about Ellsworth Kelly’s art. Huge, colourful abstracts, very much along the lines of what the popular view of mid-century Modern Art is. The bigness and the boldness are indeed the defining characteristics here – I can still call the colours to mind with ease. Whatever your opinion on them, these are memorable works. “But are they any good? What does it mean? ?” you may ask. As your helpful guide through the art world, I consider it my duty to be asking these very questions upon visiting a show. Except the whole point of abstract art is that is doesn’t have to mean something. This is very much to be the case in Kelly’s work. 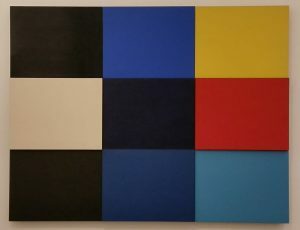 The colours and block shapes are intentionally the defining features of these works. 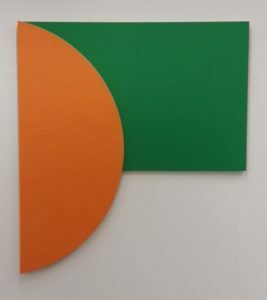 Some of the pictures in the show may have titles referencing places – Gironde, Broadway – but these are the most abstract representations possible, if representations they even are. But if it doesn’t mean anything, why should you care? Well the most important reason is that I enjoyed these paintings. I enjoy the way the colours and shapes just feel like they work so well together in works such as Orange Relief with Green. The way one line is angled in Broadway seems to make the colour stand out even more. And the physically levels of Méditeranée are actually more interesting than painting perspective would be. It’s another well curated show from Tate. In terms of bringing Kelly’s work to the public, it couldn’t really be more accessible. The white walls contrast with the paintings to really make them stand out to their best effect. And keeping it to a single room means the artworks have had to be chosen to make their point in the clearest possible way. So often, I spend my time writing Messy Lines thinking about how to explain what an artwork means. In Kelly’s work, the abstraction brings attention to the form of the artwork. And in this room, it’s nice to just sit back and appreciate painting for itself. This entry was posted in Exhibitions, Home, Past exhibitions and tagged art, Liverpool, Tate. Bookmark the permalink.